I was searching for a way to display exe icons, but the scripts I found were stuffed with useless crap, so I made my own. You need the icoutils. 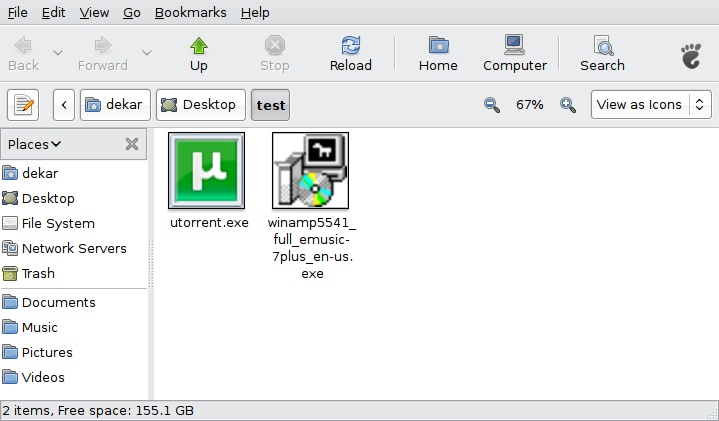 (“sudo apt-get install icoutils”) Then just run my shellscript (“sh WindowsIconsForGnome.sh“) or doubleclick it in GNOME. I wasted hours trying to compile the switchspell plugin for pidgin. Since I am social and want to prevent others from doing the same, I share my .deb with you. 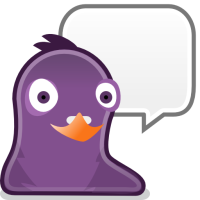 (includes all the other plugins from the purple/pidgin plugin pack that worked with the latest pidgin. Enable Fast-Path for free… at least for some AVM routers. AVM recently released an update for one of their popular (at least in Germany) Fritz!Box router. This beta firmware update allows you to force Fast-Path on, without paying for it! Fast-Path is a technique to boost your pings, that’s why it was sold as an add on for pc gamers in the past. AVM hat vor kurzem ein Update für einen ihrer beliebten Fritz!Box Router herausgegeben. Diese Beta Firmware erlaubt es Fast-Path zu erzwingen ohne dafür extra zahlen zu müssen. Fast-Path ist eine Technik welche die Pings drastisch verbessert und wurde daher bis her an PC-Spieler verkauft. Perfect Dark is an anonymous peer to peer network which aims to become the #1 in Japan. You have to share at least 40 Gigabyte of your hard drive which is used for the networks exceptional storage system which works like a global RAID. Everything a user uploads will be stored in tiny encrypted parts over the space of thousands of users. 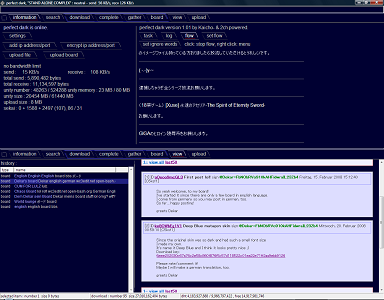 But it’s more than just anonymous file sharing, you can also create boards and post on the ones of other users. Since 100MBit/s is widely the normal way to surf the net in Japan, Perfect Dark demands at least 100KByte/s. After running the binary it installs itself to the current directory and asks you for a few settings. You have to open a port and fill in an encoded address of another node in order to get it working.